Everton will host Southampton at Goodison Park this weekend hoping to bounce back from their disappointing 2-2 draw versus Wolverhampton Wanderers last weekend. The Toffees would be sweating on the fitness of their new summer recruit, Richarlison as he is a major doubt for the game. However, they will come up against a well drilled Mark Hughes side who will be hard to beat. The recent history of this fixture makes for a mixed reading for both teams as they have each won two, drawn two and lost two of their past six meetings against each other. Marco Silva is expected to stick with his 4-2-3-1 formation and might hand Mason Holgate his first start of the season in the absence of Phil Jagielka. Jordan Pickford is all set to continue in between the sticks for the Toffees and could be shielded by the centre-half pairing of Michael Keane and Mason Holgate. Leighton Baines will start once again ahead of Lucas Digne to take up the left-back responsibilities while Seamus Coleman will operate on the right side of the backline. Marco Silva would be without the services of Phil Jagielka who is suspended for the clash after picking up a red card against the Wolves last Saturday. The Toffees defence needs to put in an improved performance at the back if they are to stop the Saints from scoring at Goodison Park. They are likely to come up against an attacking trio of Stuart Armstrong, Nathan Redmond, and Charlie Austin, so it won’t be an easy feat to stop their threat this weekend. The defensive pair of Idrissa Gueye and Morgan Schneiderlin could continue at the centre of the park as the holding midfielders. The trio of Theo Walcott, Gylfi Sigurðsson and new signing, Richarlison will play just ahead of them in the Southampton half, looking to create opportunities for Cenk Tosun. The Brazilian Richarlison scored two goals on his competitive debut for the Merseyside club so he would be confident about getting his name on the scoresheet once again in his first home game wearing an Everton shirt. Cenk Tosun is expected to spearhead Silva’s attack this weekend. The 27-year-old Turkish attacker scored five times in 14 Premier League matches last season. It is high time he joined in on the goalscoring act in this new campaign, and a home fixture against the Saints would serve as an ideal platform to do so. 4-2-3-1 Predicted Everton Lineup Vs Tottenham Hotspur : Cenk Tosun To Make His Debut? 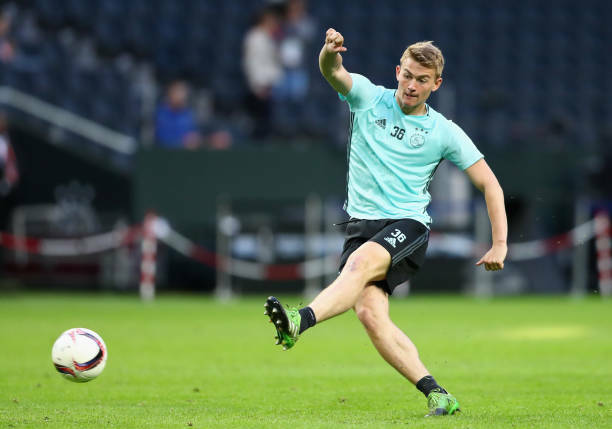 Everton Plotting A Summer Move For 20 Y/O Dutch Winger: What Can He Add To Allardyce’s Squad? 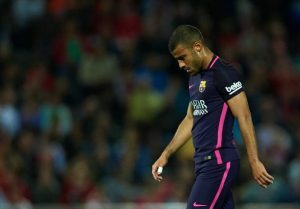 Everton Now Want Barcelona Mis-Fit To Improve Their Fortunes: Where Does He Fit In? 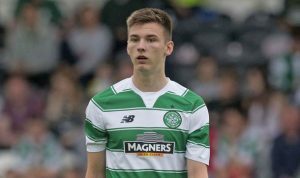 Everton Refuse To Back Out In The Race To Sign 21 Y/O Celtic Star: Can They Finally Achieve The Coup?